Nephila designed the Djangobeer event in 2013; a brand new social and informal gathering with an aim to support and connect with fellow Florentine djangonauts. The first Djangobeer event took place in Florenceon July 4th 2013, at Beer House Club, a pub on Tintori Street. Djangobeer is a one-night event, where we mix business with pleasure. Our goal is to connect the open source software followers who are also craft beer tasting enthusiasts.The guest speakers of this event were Daniel Greenfeld, co-author of Two Scoops of Django andChristian Bertschy, CEO of Divio company, who contributed to Djangobeer's success with their stirring talks and discussions about Django applications. While Django is quite well known in the internationally it is not as known in Florence. Nephila is one of the pioneers in sharing and exchanging knowledge among the local djangonauts. The Djangobeerevent creates a platform for Florentine djangonauts to share their passion and insights about Django. Our first aim was to make djangonauts feel like initiating a Django User Group in Florence. Our second aim is still to make Djangobeer go viral, with more events taking place in different locations in the world. It all started when our lead developer Iacopo took a trip to Warsaw to attend DjangoCon 2013. Inspired and overwhelmed by the DjangoCon event, he proposed to create our own Django event. Immediately we took challenge and started putting together the Djangobeer event. Meanwhile, Nephila was expanding and evolving in terms of its corporate identity and goals. We were looking for a perfect opportunity to expand our network and get in touch with the technological community. Networking was and still is our main tool to build relations and grow. 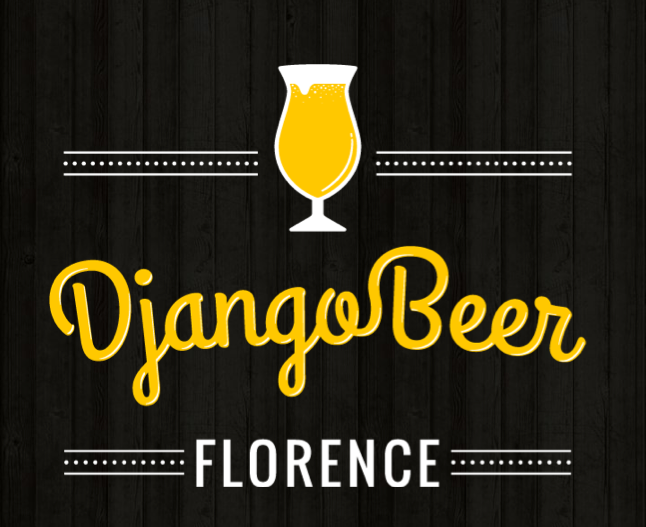 In the meantime, the EuroPython 2013 conference was supposed to take place in Florence and we took this opportunity as a perfect chance to launch the Djangobeer initiative. To create an event that took place during EuroPython meant that it would attract people from all over Europe. So we decided to challenge ourselves to organize a one-night long informal meeting. The prominent feature of Djangobeer was that we explored the casual and spontaneous aspects of the event even while choosing the venue, a craft beer pub. Why a pub? Because we know that developers are both code and beer lovers. We believe that combining programming languages with chilled beer would mix well with the relaxed ambience, inspiring talks and discussions, about Django. This ‘out of box’ facet of having social and informal gathering was again an idea of Iacopo who himself is craft beer enthusiast. His belief is, “If life is too short to write bad code, then the same goes for beer”. While to arrange the logistics and management of the event in such a short period of time was difficult. But against all odds, our team efforts, our desire to create something unique and our enthusiasm to create a brand new social and informal occasion pushed us to pursue this goal. The pressure was undoubtedly high however the chilled beer blended our passion and warmth to our work. Together with our friends of theBeer House Club, we chose a selection of good quality craft beers to offer to our guests. And, the name of the event: Djangobeer. Our highly skilled web designer Guido created the logo. The creative process went through several phases. While the first draft, in fact, linked the event to the history of Florence, the next ideas aimed to communicate the playful aspect of the initiative. The final logo shape is inspired by vintage labels and ads and designed similar to a beer trademark. All the participants could drink a free beer while listening to the speakers, who were leading personalities of the Django community. Iacopo,who is our lead developer and django CMS core developer, opened the event with a talk about django CMS, a framework backed by Divio. Followed by speaker Daniel Greenfeld, leading personality of the Django community and co-author of “Two Scoops of Django.” Lastly, Christian Bertschy talked on the possibilities offered by Aldryn cloud service, designed for django CMS projects deployment. The outcome of the event was something beyond extraordinary. And at the end of the meeting we realized that the Beer House Club was sold out. Iacopo especially got over his personal challenge of talking in public, and got ready for the future conferences, DjangoWeekend 2014held in Cardiff, UK, and Djangovillage 2014held in Orvieto, Italy, where he had success as a speaker. Even though Djangobeer was a newborn event, and Nephila was better recognized in the international community than in Florence, the social networks were very interested in our event. Twitter, in particular, the favourite djangonauts' social media network, was first to be filled with support messages. Djangobeer event was a debut for us. It was a newsworthy event and we think we made it! When we travel and participate in the European conferences we are frequently asked “when and where we will be organizing next Djangobeer”. Well, we will soon launch a new Djangobeer European season. Cheers!